Simplicity and elegance have never made such a perfect combination. 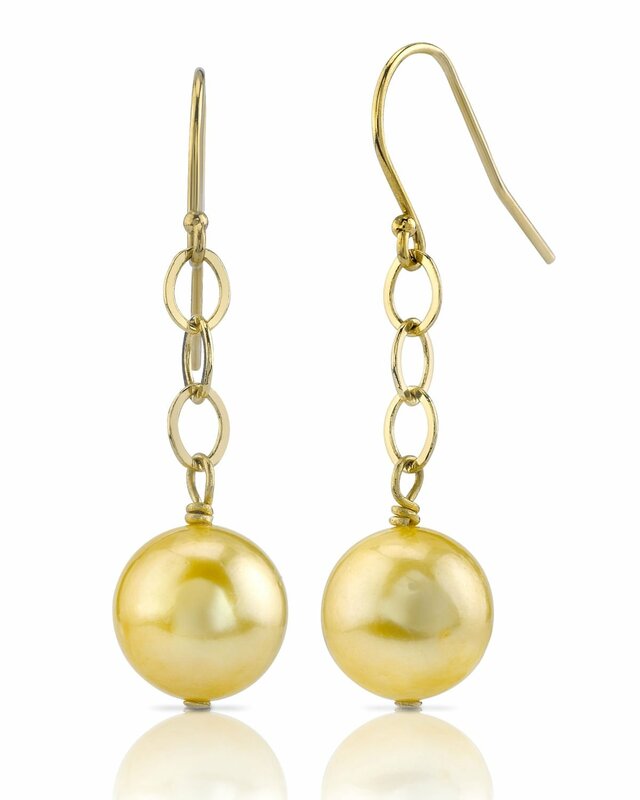 A beautiful pair of Golden South Sea pearls on elegant yellow gold chain. The earrings just over one inch below the ear with stunning Tahitian pearls. The pearl earrings have 'Very High' grade luster, our highest category available, and are available in both AAA and AAAA quality. If you have any questions, feel free to call us anytime at 866-87-Pearl (866-877-3275).